Thank you, Ted Kennedy, for all your amazing accomplishments and for the stellar examples of leadership, advocacy, humility, compassion, and humanity. You, too, will be greatly missed. The August 09 issue of Capital Area Women's Lifestyle Magazine is now out and includes a few of my back-to-school tips for kids with special needs. Also, be sure to check out the issue's tribute to Cindy Edgerton, MSU music therapist extraordinaire and director of RicStar's Camp (pg 22), and come back next week for some simple advocacy school tips for parents of kids with special needs. The simplest actions often help create the most lasting changes for your child. Back to School QUICK TIPS for Kids with Special Needs: Judy Winter/ Augusut 2009/ All Rights Reserved. With enough hard work, it is possible. Check out an inspiring feature about Suzanne Richard, artistic director of Open Circle Theater (OCT), "Washington D.C.'s first professional theater dedicated to producing professional productions that integrate the considerable talents of artists with disabilities." Richard has osteogenesis imperfecta, a genetic disorder also known as brittle bone disease, in which a person's bones break easily, leading to other health and physical challenges. According to the Osteogenesis Imperfecta Foundation (OI), the disorder affects 1 in 40,000 births. 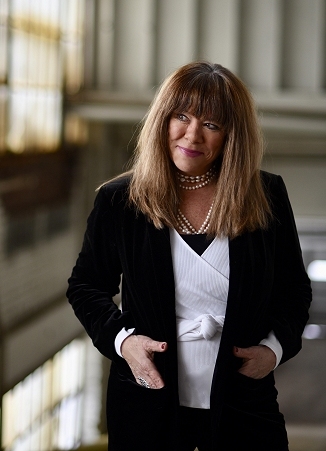 Today, Suzanne Richard, a former employee of the National Endowment for the Arts, encourages other working actors with special needs to pursue their acting dreams. In the CNN piece, Richard also addresses the on-going challenges and frustration faced by many working individuals with disabilities due to income caps and social security. Read the article Actress Wont Let Disability Dim Her Stars, here. I sure needed to read this kind of piece today. A public wake is being held today on Cape Cod for Eunice Kennedy Shriver, with her funeral scheduled for tomorrow. I will be present at both events in heart and spirit. You can watch both here. The passing of this remarkable woman has impacted me deeply and caused me to reflect on my own work on behalf of those with special needs. One of the career highlights for which I am most grateful these past two decades is having interviewed Tim Shriver, CEO of Special Olympics, for my book. The interview includes his take on what it was like to be raised by this remarkable woman. As a child, Tim experienced firsthand the beginnings of Special Olympics and his mother's passionate commitment to athletic opportunities for those with intellectual disabilities. He took part in inclusive activities with these young athletes in his own backyard, and came away with powerful, lasting lessons. Tim Shriver's amazing parents taught their children by example, benefiting millions. We have much to learn from those lessons. If each one of us gave just a fraction of the time, talent and financial support the Shriver family has given to improve the lives of others worldwide, this world would be a much better place, and our children would be better off, too. Eunice Kennedy Shriver's life and example make me want to be even better at what I do, and become a more compassionate human being. I am terribly saddened to hear of the death of Eunice Kennedy Shriver. My heart goes out to this family that has lost an amazing and much-adored mother, sister, spouse, aunt, grandmother, cousin and friend. Those of us who advocate on behalf of the special needs community have lost yet another remarkable leader, who was and will remain, an inspiration and example. Her work will continue. Eunice Kennedy Shriver was also the ultimate special needs sib. Her ground-breaking and passionate work was fueled by her love for and dedication to her sister Rosemary, who had an intellectual disability. How will you help keep Ms. Shriver's legacy and compassion alive? Much work remains. Read the Shriver family statement here. My Photo Included in August Breathing Space on Oprah.com! 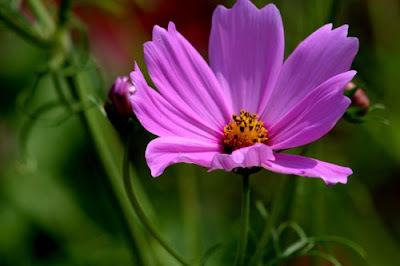 I'm thrilled to share the news that one of my favorite flower shots (at left) is included in the August Breathing Space on Oprah.com. Click here to view my shot with the written copy I submitted. Huge congrats to my West Coast buddy, Gail Williamson, who recently received the National Down Syndrome Congress (NDSC) President's Award at the 2009 event held in Sacramento, CA. Gail, executive director of the Down Syndrome Association of Los Angeles (DSALA), which includes the terrific Heart & Halo Talent Division, was honored for her on-going work on behalf of those with Down syndrome. Her impressive contributions include working to ensure greater awareness, understanding and employment of actors with DS in the film and television industry. Gail's son, Blair, is a successful working L.A. actor and has been featured on my blog in other posts. In case you want to get your Mickey groove on, Gail shares that next's year's conference will be held in Orlando, Florida. Congratulations, Gail, on this well-deserved honor! Photo courtesy of Gail & Blair Williamson. Used with permission. Sunday's New York Times ran a fascinating article about delusions experienced by those with head trauma and Traumatic Brain Injury (TBI). Check out the piece entitled When Loved Ones Seem Imposters: After Injury, Fighting to Recall a Sense of Family and Self by Benedict Carey here. When it comes to special needs, TBI is a great equalizer. 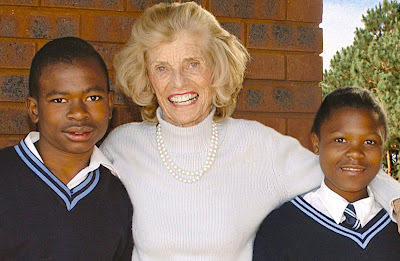 My thoughts and prayers are with this amazing woman and her incredible family as Eunice Kennedy Shriver, founder of Special Olympics, is hospitalized in critical condition. The world is a much better place because of her life, her work and her on-going presence and important influence. Please be well. You're such an inspiration to so many, including me. My husband and I got hitched thirty-three years ago today! We've made it through some incredible life challenges, including special needs parenting and the loss of our much-loved son, and we've experienced tremendous joys as well. Our relationship and commitment to our marriage remains strong. With today's dismal divorce statistics, I'm incredibly proud of what we've built and the choices that we have made as a couple. 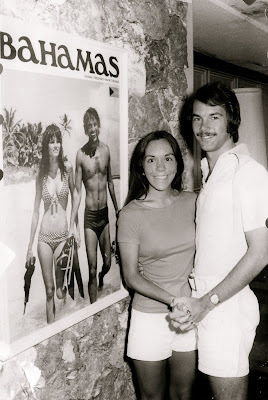 Photo at left is of us on our Nassau honeymoon- seems like yesterday! I have no idea who took it! Last Friday, I had the tremendous pleasure of attending the final-day performance for the summer session of conductive education at the Conductive Learning Center (CLC) in Grand Rapids, Michigan. This is a wonderful program/center that my son took part in up until his death in 2003. Conductive Education is an intensive program based in Budapest, Hungary, one designed to address motor challenges in children and young adults with cerebral palsy and spina bifida. The goal is to help these children reach maximum independence. CLC program director, Andrea Benyovszky, is simply one of the finest professionals and human beings that I have ever met. Her passion for her work, her amazing skills and knowledge, and her solid commitment to championing the abilities of each one of her charges, continually inspire me. I am proud and honored to call Andrea Benyovszky my friend. Here are a just few of the many beautiful faces of ability from that day's performance. To learn more about Conductive Education and the CLC programs. click here. Photos by Judy Winter 2009/Used with permission of Andrea Benyovszky/Conductive Learning Center/Grand Rapids, Michigan. All rights reserved. "To nourish children and raise them against odds is in any time, any place, more valuable than to fix bolts in cars or design nuclear weapons." That takes upper body strength! Summer is fading fast. Grab on to all its final adventures. On Friday, my Aussie Shepherd/Bernese/Border Collie Jack came face to face with his cousin, the Bernese Mountain Dog, all 110 pounds of her! That sweetie girl is now on a diet. Her goal? 80 pounds, at which point she'll still weigh almost twice as much as Jack. It was great to identify the traits of this marvelous breed in our Jack while next to the real thing.